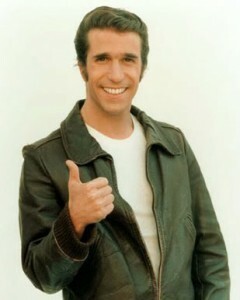 A quick read of the USDA’s finding that energy efficiency has no significant impact (FONSI) might have you thinking the Fonz’ approves of efficiency programs. We’d like to think he does too. On August 16, the U.S. Department of Agriculture’s Rural Utilities Service published a Finding of No Significant Impact (FONSI) on the environment by implementing the Rural Utilities Service’s soon-to-be-finalized Energy Efficiency and Conservation Loan Program (EECLP). The EECLP is a proposed federal loan program that would offer low-interest loans to rural electric cooperatives to develop and implement a range of energy efficiency and demand-side management programs, including residential energy efficiency financing programs like South Carolina’s successful “Help My House” pilot. The FONSI determination was made based on an analysis of the environmental impact statement prepared for the EECLP. The major takeaway here — albeit a no-brainer — is that unlike the extraction of fossil fuels, the construction of miles of new transmission lines, and the development of large-scale, centralized renewable energy power plants, energy efficiency does not significantly impact the environment in any way. In fact, by reducing electricity demand and consumption, energy efficiency reduces the impacts to human health and the environment associated with current energy demand. That means fewer mountains blown up for coal, less coal ash dumped into unsafe holding ponds, fewer natural gas fracking wells, less drilling for oil in the oceans, cleaner air and water, and less carbon emitted.